Streaming has meant a real revolution to how we consume music. The services that offer music under this concept have gained popularity, as is the case of Groovehark. But many people consider not being able to download the music a drawback, fact which GrooveJaar intends to correct. 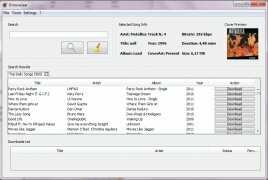 GrooveJaar is a download manager programmed in Java for the Grooveshark service. 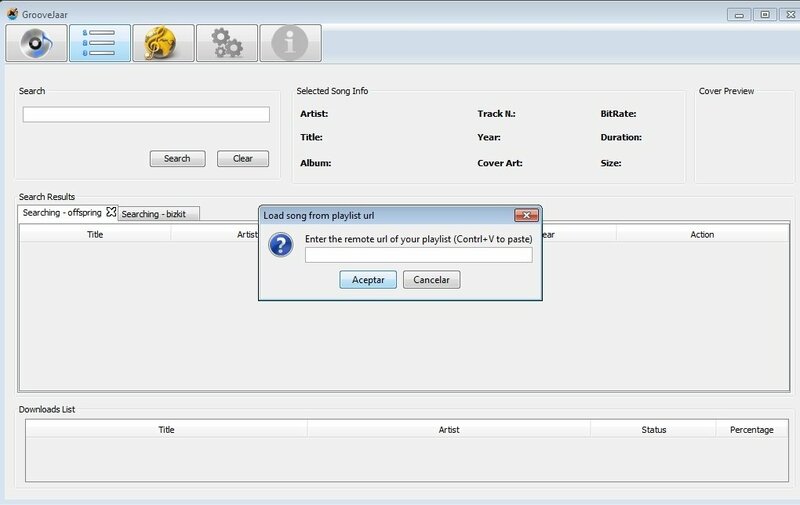 Equipped with a simple interface, it allows you to search for artists on this music streaming platform, offering you all sorts of options to download your favorite music on your computer. Locating any file is quick and easy. Enjoy your favorite songs in MP3. The entire Grooveshark catalog is available. Download songs, albums and playlists. Basic information about each song, such as bitrate or size. Download GrooveJaar for free and make the most of one of the most popular music streaming services as is the case of Grooveshark. Requires that you have Java installed to open the application.